Jerry Wilson, age 78, passed away peacefully on August 4, 2017 with family by his side. He was born February 26, 1939 in Bellingham to Fern and Marie Wilson. He attended Lowell, Fairhaven, Assumption and Bellingham High School, followed by Washington State University and Western Washington University. Jerry worked as a commercial fisherman out of high school, later taking a job at Georgia-Pacific where he worked for over 40 years, retiring as Supervisor of Customer Sales and Service. He married the love of his life, Mary Jo Roehl, on September 23, 1961 in Bellingham, WA. Jerry was an active member and volunteer at Sacred Heart Catholic Church for many years, and also a member of the Knights of Columbus. He enjoyed spending as much time as he could with his family, especially at the Birch Bay cabin. Jerry enjoyed camping, golfing, fishing, hunting, skiing, gardening, traveling, singing in the church choir and making wine. He was immersed in faith, family and friends and was always more than willing to go out of his way to help others. Jerry was preceded in death by his parents, wife Mary Jo, son Joe, sister Margaret, sister-in-law Betty Ann Swanson (husband Roger). He is survived by his wonderful sons, Jerry “Jiggs” Wilson, Jr., his children Nate and Sarah, and their mother Lenette Thompson of Spokane and Jake Wilson (wife Patrice) and their daughters Haley, Janie and Josie, sister Anne Cannon (husband Robert) of Wenatchee and many loving relatives and friends. A Vigil Service will be held at Westford Funeral Home at 7 PM on Wednesday, August 9th. Mass of Christian Burial will be held at Sacred Heart Catholic Church at 11 AM on Thursday, August 10th. Reception following. Memorials may be made to Whatcom Hospice Foundation, 2901 Squalicum Pkwy, Bellingham, WA 98225 or Knights of Columbus, c/o Sacred Heart Church, 1110 14th Street, Bellingham, WA 98225. You may share memories with the family at www.westfordfuneralhome.com. 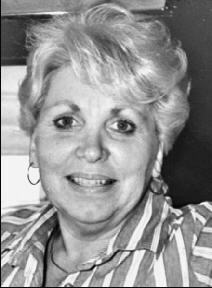 Janet Lorraine Burn, 73, of Yakima, WA passed away Friday, May 11, 2012 at Yakima Valley Memorial Hospital. She is lovingly survived by her husband of fifty-four years, John; and four children, Julie, Wendy, Greg and Michelle; eight grandchildren; six great-grandchildren; and one granddaughter that greeted her in Heaven. David Haan’s wife passed in March 19, 2013.. He was still in the hospital himself recovering from a below the knee amputation of his left leg. He was able to get early release to go see his wife before she passed. She suffered from Progressive Supranuclear Palsy, PSP, which is an incurable disease that is not even treatable. Its cause is unknown. She started having symptoms in about 2001 and we couldn’t get a correct diagnosis until he drove her to the Mayo Clinic in Scottsdale AZ in February of 2007! At that time she could still walk and talk and swallow food and liquids. Those abilities were gone by about 2009.